It defies the laws of physics and has scientists mystified. In the Galaxy M87 (which was created when two other galaxies merged), a jet of hot plasma — caused by gas being sucked into a central black hole, being heated, and then shot out by magnetic fields — has been helping us gain insight into the weird origins of our galaxy. It is shaped like a thin beam and is emitted from the center of a black hole. Heber Curtis, an astronomer, first saw a ray of light connected to the galaxy in 1918. In order to see it with his instruments at the time, it had to be huge. And it turns out, it was; measuring at almost 6000 light years long. The Hubble Space Telescope monitored its development between 1995 and 1999 and, after four years of photos, they saw the plasma ripple outwards faster than what was being emitted from the black hole, meaning it must be moving faster than the speed of light. In 2013, after 13 years of images, it appeared to move in corkscrew-like spirals, making this strange occurrence even more mystifying. 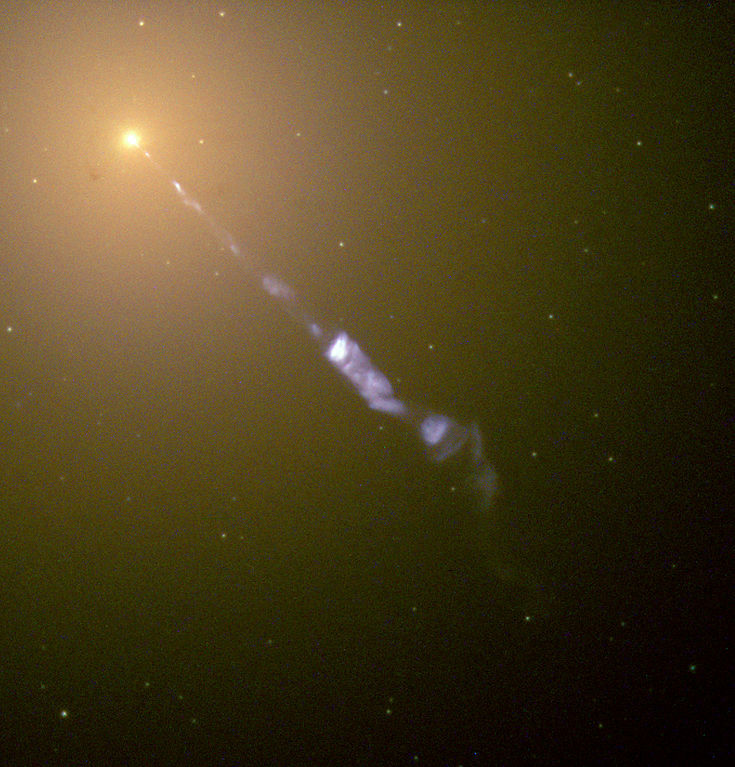 M87 is, however, not unique in this way. Since the first observation, researchers have discovered similar phenomena in other galaxies. Although the causes behind it are still enigmatic, these observations could aid us in our search in understanding how black holes function in the creation or destruction of galaxies. Similarly, an enormous magnetic bridge spanning multiple galaxies has been recently discovered. Eileen Meyer, Assistant Professor of Physics at the University of Maryland Baltimore County, said about the plasma,“We can see, over a human lifetime, things moving […] Which is crazy.” The speed of this process is particularly remarkable because of how powerful it is.